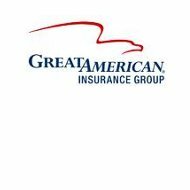 Great American Insurance Group is one of two primary divisions of parent company American Insurance Group, Inc. Great American was formed in 1872 as a property and casualty company specializing in commercial insurance products and products for special situations. Today, Great American itself is comprised of several subsidiaries providing dozens of different insurance products all across the country. Their Great American International subsidiary offers some of the same products and services around the world. Enter your ZIP code below to start your search for affordable health insurance rates. Great American Insurance offers health insurance in two formats. The first is a supplemental policy used in conjunction with standard health insurance or Medicare/Medicaid policies. The second method is by providing insurance for captives established by companies or nonprofits. Under a captive model, Great American Insurance would act as a reinsurance provider to cover the captive against substantial losses. Great American would also act as manager of the captive. As with any supplemental health policy, a Great American policy is not your primary source of health insurance. It is meant to act as a supplemental insurance policy to cover things that your primary policy will not. For example, your primary health insurance may cover cancer treatments only up to a certain dollar amount. When those benefits have been exhausted, your supplemental policy kicks in. It is not uncommon for some people to carry multiple supplemental policies for this reason. Great American also provides specialized supplemental health insurance policies for specific diseases or medical conditions. These types of policies work the same as supplemental insurance except for the fact that they are targeted at the medical condition in question. They would not pay benefits for any other health needs. For details about this type of supplemental health coverage customers should contact a local agent or their captive association. Great American’s business is so diversified and spread out across the globe that it would be virtually impossible to manage it effectively without the help of local, independent agents. The company employs agents around the world that specialize in a few of the products or services Great American offers. While it is possible that some agents would represent all Great American lines, it is more likely that they would choose a few lines according to whatever else they offer through their agency. Great American does not provide an agent locator tool on the website. However, they do provide an e-mail link that customers can use to submit questions about agents in their area. For the agents themselves, the site has a dedicated section where they can login and access array of agent tools. From this secure portal agents can file claims, access policies, make payments, and so forth. Many of the same services are available to Great American customers on their own section of the website. Contact information for all of their divisions is available on the corporate website. For your convenience, we have included the address and telephone number of the corporate headquarters below. Filing a claim with Great American begins with determining what division in which your policy falls. That information can be found in your policy documents along with the appropriate contact information. Great American provides a list of divisions and claims centers on its website complete with telephone numbers and e-mail addresses. You may file a claim using one of these two methods 24 hours a day, seven days a week. You may also file a claim through your local, independent agent. Financial services ratings company A.M. Best reaffirmed an “A” rating for Great American Insurance Group in February 2011. Great American has maintained an “A” rating or better consistently for the last 30 years. In fact, they are one of only four insurance companies that can make that claim. Their high rating means that they have the financial strength to pay current claims and meet short-term debt obligations. The company also consistently receives a “stable” rating for their future outlook. This rating means their future looks good with no expectation of financial difficulties. Your search for health insurance quotes online begins when you enter your ZIP code below.